Welcome to Tompkins County Public Library! A library card is your key to unlocking TCPL's vast resources. From borrowing books and DVDs, to using free Wi-Fi and downloading eBooks, your library card is necessary to use and enjoy the library. Cards must be presented at the time of checkout. If you forget your library card, your smartphone can be your library card! See below for instructions on how to scan your library card. In the event of a lost or stolen card, contact TCPL as soon as possible. Replacement cards are recommended and can be obtained for a two dollar replacement fee. Patrons who have notified the library of a lost or stolen card can continue to borrow materials by presenting a photo ID at the time of checkout. In order to reinstate a lost or stolen card, the card and photo ID must be presented together. Tompkins County Public Library cards are free of charge to all who meet the library card eligibility requirements outlined below. A person must be present (babies and children included) when applying for a library card. Please visit the Access and Circulation Services desk to register for a library card or register online for a temporary card. The signatory to the application assumes all responsibility for payment of fines, damages and liabilities incurred through use of the card and is responsible for immediately reporting address changes and lost cards. TCPL offers free and equal access to all members of the community we serve. All children and young adults (ages 5-17) who are issued library cards will have unfiltered access to both our collections and our services, including access to the Internet through our public computers and Wi-Fi service. If parents/guardians/caregivers do not want their children accessing the Internet from library computers, they may opt them out of this service by notifying a staff member at the Access and Circulation Services Desk. Access to Wi-Fi services via personal devices cannot be restricted based on age. Children (newborn through age 4) must have their application completed and signed by a parent/guardian/responsible adult who can provide proper identification/address validation on the child's behalf. This person assumes all responsibility for use of the card. The child will be issued a standard library card with no Internet privileges. Children (ages 5 through 12) must have their application completed and signed by a parent/guardian/responsible adult who can provide proper identification/address validation on the child's behalf. This person assumes all responsibility for use of the card. The child will be issued a standard library card with unfiltered Internet access. Young Adults (ages 13 through 17) with photo ID AND proof of address may apply for and immediately receive their own library card. They will be issued a Limited Access library card with unfiltered Internet privileges. A letter explaining our policies will be mailed to the parent/guardian/responsible adult. If a young adult wants a full-access library card, the parent/guardian/responsible adult must co-sign the application, with photo ID, at the Library. Young Adults (ages 13 through 17) with photo ID, but NO proof of address may apply for their own library card, but TCPL will mail the card to the prospective cardholder to verify the address. These individuals will be issued a Limited Access library card with unfiltered Internet privileges. A letter explaining our policies will be mailed to the parent/guardian/responsible adult. If a young adult wants a full-access library card, the parent/guardian/responsible adult must co-sign the application, with photo ID, at the Library. Adults (ages 18 and over) must show proper identification as outlines in the section "Accepted Forms of Identification." Adults (ages 18 and over) living in residential programs provided by Franziska Racker Centers and Unity House need only a letter on the organization's letterhead from their Team Director, signed and dated within the past three (3) months, confirming the individual's identity and their participation in that program. Adults (ages 18 and over) living in a homeless shelter need only a letter on the organization's letterhead, signed and dated within the past three (3) months, confirming the individual's identity and their participation in that program. TCPL will issue a Limited Access library card to these patrons. If Option 1 documentation is not available, any two (2) of the following forms of identification are acceptable for adults and young adults, provided that one includes a photo and name and/or signature and the other includes the applicant's address. Any tax bills, rent receipts or statements from a residential program or homeless shelter used for verification of an individual's identity must be dated no more than three (3) months prior to the application date. The same forms of identification are required when address changes are entered or when replacing lost library cards. Cardholders are required to promptly report changes of name or address. Address changes may be made online at the library's website by logging in to one's account using one's library card number and password. Tompkins County Public Library offers a Limited Access (LA) card for those who signed up for a card without proof of address, young adults without a parent/responsible adult co-signing, or for those who have had account problems in the past, but want to begin using the Library again. The Limited Access card allows patrons to use our computers and Wi-Fi, access our online collections, and check out 4 items at any one time, including books and/or a combination of up to one each of the following: DVD/game, CD, magazine, and tablet/eReader. Forgot your library card? No problem! Now your smartphone can be your library card! Select your books and other library materials. Please note: even if you store your card on your smartphone, it is important for you to contact the library if you lose your plastic card. Follow these steps to install CardStar or Key Ring on your phone and add your library card. There are other options out there too. Touch the plus sign (+) button to add a card. Select "Tompkins County Public Library" in the list of merchants. Scan your library card number in the "Card Number" box. You can also enter the number manually. Open the Key Ring app. Touch the (+) sign to add a card. 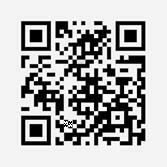 Scan the barcode. You can also enter the number manually, but note that you must capitalize the “D” or the app will not recognize it. Touch the "Create Card" button to finish.